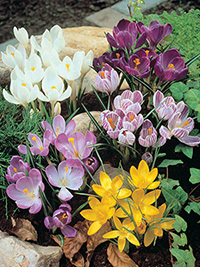 Species crocus collection, 10 bulbs each oif 5 varieties. Crocus are one of the earliest bulb types to flower. 15cm tall.